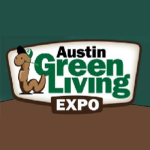 Home > General Tips > Green Pest Control > Natural Solutions for Outdoor Pest Control > Organic Lawn & Garden > What are beneficial insects? As we get ready for summer, we thought it would be helpful to give you some basics on beneficial insects and using Wondercide Outdoor Pest Control. Beneficial insects are natural enemies of lawn and garden pests. They control the “bad bugs” (ants, aphids, etc.) and are known as a biological pest control to organic gardeners. 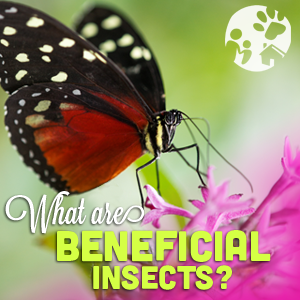 Examples of “beneficials,” as they are commonly referred to, are ladybugs, butterflies, bees, nematodes, etc. Broad spectrum conventional pesticides not only kill the bad bugs, they kill the good bugs, too. Another reason to promote beneficial insects by using Wondercide is that insects have developed conventional pesticide resistance. Some insects have become so resilient to these conventional pesticides that they are now able to metabolize the poison as food. This makes the target pest stronger and harder to control. To counter that, people use even more chemicals, which has a negative impact on beneficials, the non-target pest. How does Wondercide Outdoor Pest Control kill the bad bugs, but not Beneficial Insects? The answer is simple. Non-beneficial insects (bad bugs) are heat-seeking and driven to food, water, and reproductive mates by pheromones. 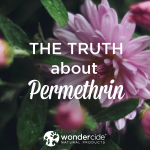 Humans, animals, and beneficial insects (good bugs) do not have these pheromones, so Wondercide does not have any harmful effect. Because insects breathe through pores on their bodies, Wondercide is absorbed directly into the breathing pores, causing pheromone interruption. This either kills the pest or repels them. Wondercide Outdoor Pest Control causes a flight response that repels the bad bugs, but not the good bugs. Beneficials, on the other hand, are driven to food, water, and reproductive mates by sight (think pretty colors, flowers, herbs, etc. that they want to pollinate) and are not affected by pheromone interruption. The aroma of cedar oil does not affect them neurologically or biologically simply because they are not driven by pheromones.